According to news reports, Toys R Us is being auctioned off to a number of highly successful retail chains. According to these reports there are 58 qualified bids. Two of the larger and more recognizable chains include Target and Aldi. In addition other retail businesses such as Raymour and Flanigan are expected to be bidding on other stores. Even some rumors are that Amazon is considering buying some of the Toys R Us stores. 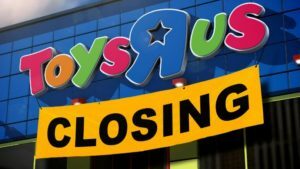 Still Toys R Us has hundreds of the stores that may not find a place after the company is liquidated. Toys R Us is known as the greatest toy store there is. But obviously that changed when Amazon came along. The company has 32 stores in New Jersey and 1600 worldwide. In an effort to drive more people and more traffic into their stores, on Thursday night at 5 p.m. Toys R Us shut down their website. Toys R Us is a New Jersey-based company. Founded by Charles Lazarus in its modern incarnation in 1957, Toys R Us traced its origins to Lazarus’s children’s furniture store, which he started in 1948. He added toys to his offering, and eventually shifted his focus. The company had been in the toy business for more than 65 years and operated around 800 stores in the United States and around 800 outside the US. At its peak, Toys R Us was considered a classic example of a category killer, a business that specializes so thoroughly and efficiently in one sector that it pushes out competition from both smaller specialty stores and larger general retailers. Since the rise of mass merchants like Walmart, Target and Amazon, however, Toys R Us lost much of its share of the toy market, and fell behind Walmart in toy sales for 1998. The company has not had an annual profit since 2013.